Upgrade your match day experience to one of our hospitality packages. With first class service and a variety of catering options, we can offer the ultimate match day experience for any guest wishing to celebrate a special occasion, entertain business associates or simply enjoy a great day out with friends and family. With over 100 companies availing of our hospitality packages each season, they are an excellent choice for companies wishing to entertain clients, impress prospects and reward staff. Hospitality packages are ticket inclusive, and will give you access to a range of benefits on match day. 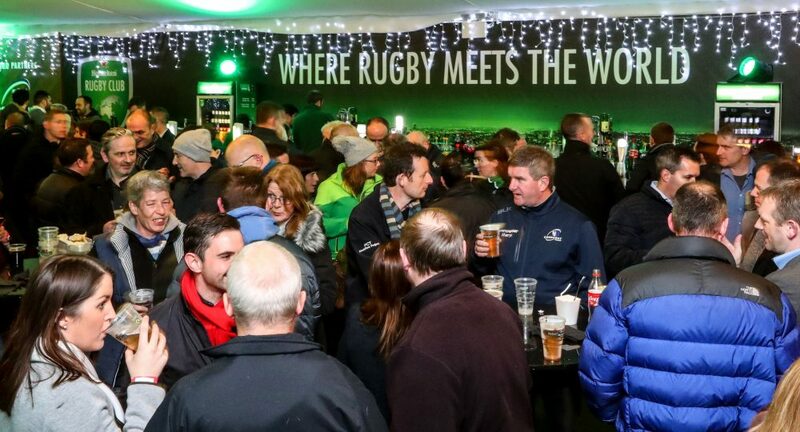 The Sportsground Heineken Rugby Clubhouse combines the camaraderie of your favourite pre-match pub with a family-friendly atmosphere right in the heart of the stadium grounds. What better way to build up the anticipation than with delicious seasonal food and refreshments? After the game the bar is every bit as lively, with fans of all ages coming together to relive the action and mingle with the match day players. Exclusive and unique, our premium hospitality is a memorable way to share your passion for Connacht Rugby with your friends, family or business associates. Taking place at nearby luxury hotels you can entertain your guests with exceptional service and fine cuisine. This package is available for you to enjoy on selected match days.